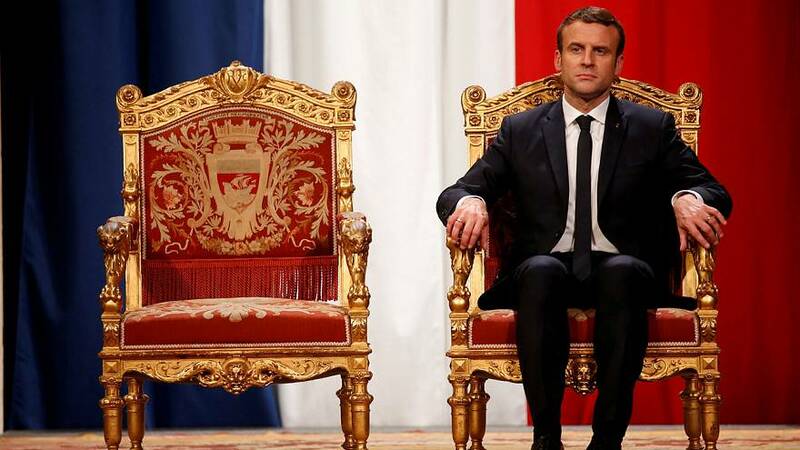 In his first two months as president of France, Emmanuel Macron’s feet haven’t touched the ground. Since he took over from Francios Hollande the new French leader has packed in 11 visits to seven countries and met heads of state including the likes of Russian President Vladimir Putin, German Chancellor Angela Merkel and President of Turkey Recep Tayyip Erdoğan, amongst others. Mr Macron also received Donald Trump and his wife Melania on an official visit to Paris and proved a match for the US president’s firm handshake. During the visit, a French army band performed a rousing medley of Daft Punk songs for the two leaders, which Mr Macron seemed more enthusiastic about than his American counterpart. The Amiens native has also shown off his sparring skills with a boxing partner on June 24, 2017, at an event aimed at promoting Paris’ bid to host the 2024 Olympic and Paralympic Games.